Karnataka by-election results have started to come in as the counting has begun and the Congress-JDS alliance is leading over the BJP in Bellary, Mandya and Ramanagara. BJP’s B.Y Raghvendra is leading over the JD(S) candidate S Madhubangarappa by 2627 votes in the 3rd round of counting in the Shimoga parliamentary seat. The BJP has gone alone in the By-poll as it did during the Assembly election. A fight for the survival, the BJP is expecting to set its foot in the South and the gates can be opened through Karnataka. 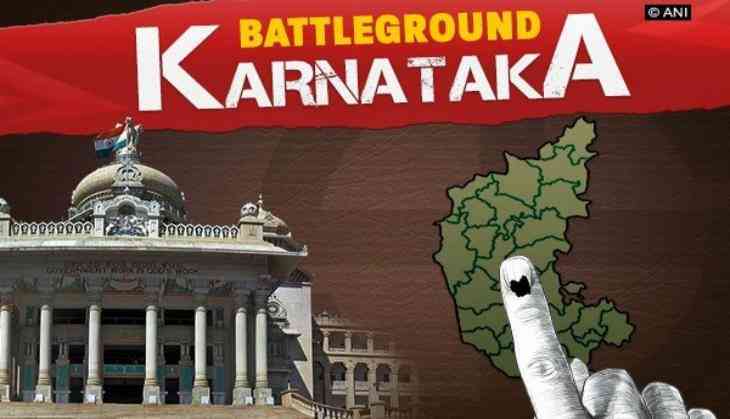 In the by-poll counting, the Congress is showing its power in which, V.S Ugrappa is leading over the BJP’s J Shantha by over 1 lakh votes in the Bellary constituency, which used to be the stronghold of the Bhartiya Janta Party. In the Mandya district, the Janta Dal Secular led by chief minister H.D Kumaraswamy is leading with over 1 lakh votes against the BJP. Thereafter, Congress’ Anand Siddu is also leading with over 10,000 from Jamkhandi. The big Karnataka verdict is being seen as a semi-final for the state ahead of the Lok Sabha polls in 2019. The BJP’s fortress is raided by the Congress-JDS alliance and it can be news of churning for the BJP-led Narendra Modi’s camp and a time for introspection as well. The BJP being the single largest party has dominated earlier in the state assembly polls but here, in the 5 seats of the by-poll, the party is trailing behind the Congress and JDS with over 1 lakh votes in some constituencies. #UPDATE: Congress' VS Ugrappa leading over BJP's J Shantha by 1,00,723 votes in Bellary parliamentary seat after counting of votes for Round 6.